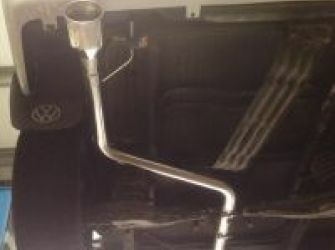 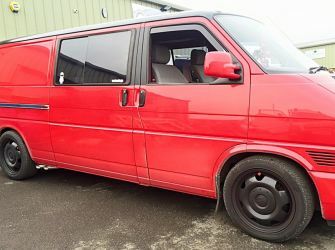 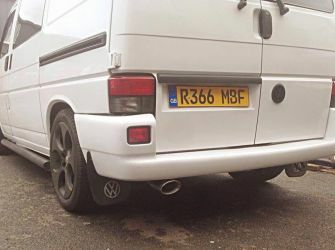 Vw T4 transporter Dummy Decat Pipe. 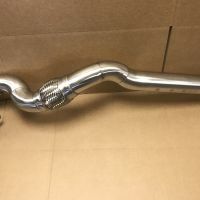 Looks like a cat :-) 304 grade mandrel bent stainless steel. 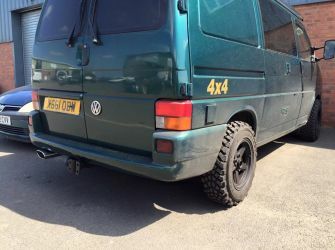 Fits all 96 onwards Diesel T4s including 1.9 2.4 non turbo and 2.5tdi models. 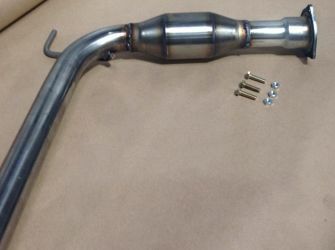 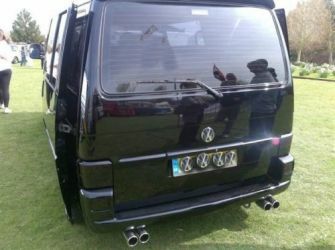 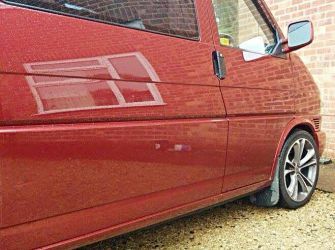 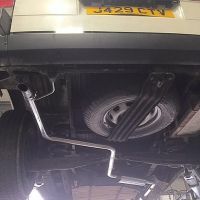 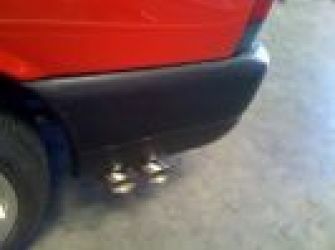 VW T4 transporter twin side exit exhaust system behind rear wheels.One pic shows with optional carbon tips. 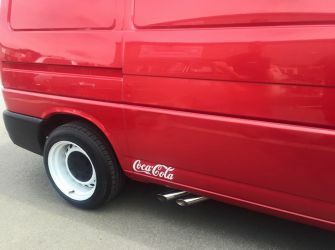 This will need to be fitted by us.